Our Marriage Enrichment programs help couples to appreciate and enjoy their relationship - whether they have been married for two, 20 or 60 years! They are for couples of any age to gain a deeper understanding of their relationship as it evolves. 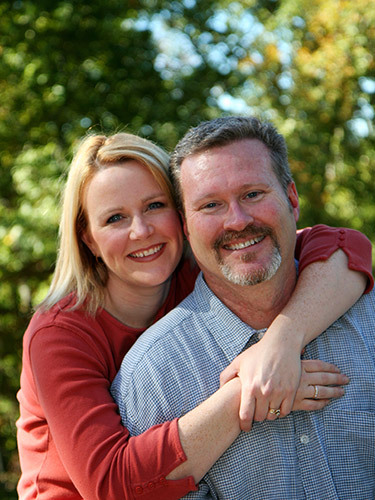 Marriage Enrichment helps couples to explore their friendship and a vision of the marriage they are continuing to build. We have three options to choose from; for individual couples REFOCCUS and Relationship Tune-Up, and our group program R10 Day. Our enrichment programs are led by qualified, experienced adult educators with knowledge of relationship theory. A private workshop for married couples who want to spend more time enriching their understanding of their marriage. Run over five sessions, couples explore intimacy, communication, commitment and the changing nature of relationships as the years progress. Call us to make a booking for you and your partner. REFOCCUS costs $360 per couple, for five 1-hour sessions. Review, Reflect and Reinvigorate your relationship - and so much more! This is the program for couples who want to reflect on their relationship, celebrate their strengths and develop new skills for their journey together. R10 Day is held in a group setting with no more than 10 couples per group. It is led by two facilitators and each course runs from 10am to 4pm on a weekend. There are two R10 Day programs across the year held in East Melbourne. R10 Day costs $210 per couple. Bring your marriage in for a tune-up! These sessions are for individual couples who want to reflect on their relationship in a private, confidential setting. These sessions aim to help couples affirm, strengthen and grow their relationship into the future. Relationship Tune-Up costs $120 per couple, for one 1-hour session. A $30 cancellation fee applies to all cancellations with more than 10 days notice. A $60 cancellation fee applies to all cancellations with less than 10 days notice. A $40 transfer fee applies if a couple wishes to change one or more appointments. A $155 cancellation fee applies to all cancellations with less than 10 days notice. If you cancel an appointment that included the use of an interpreter, the cancellation fees applied by TIS National will be passed on to you. See www.tisnational.gov.au for more information. For more information on any of these programs please call the Marriage and Relationship Education team on (03) 9287 5516.